Next Step Realty Management is here to help you take that Next Step with your investment. With low overhead, we are able to pass on the savings to you! Whether you are taking that Next Step out of your parent's basement or taking the Next Step toward retirement, Next Step Realty Management of Boise has the solution for you. We are a full service Real Estate Company. 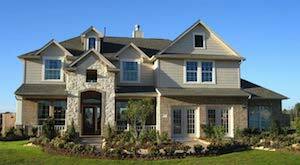 We offer Professional Boise Property Management Services and Real Estate Sales. We specialize in property management of single family homes, duplexes, multi-plexes, and apartments in Boise and throughout the entire Idaho Treasure Valley. There are NO hidden fees and NO monies are due upfront. You do not pay a penny until your property is rented. Our advertising is very effective and we usually have your place rented within a few days. Low Management Fees 8% for under 20 units and 5% for over 20 units! Low overhead means you save money! Affordable Rates - Discounts for multiple properties! Accounting - Rent Manager accounting software. We pay the bills you need us to. The area was called Boise long before the establishment of Fort Boise. The original Fort Boise was 40miles west, near Parma, down the Boise River near its confluence with the Snake River at the Oregon border. This defense was erected by the Hudson's Bay Company in the 1830s. It was abandoned in the 1850s, however massacres along the Oregon Trail prompted the U.S. Army to re-establish a fort in the area in 1863 during the U.S. Civil War. The new location was selected because it was near the intersection of the Oregon Trail with a major road connecting the Boise Basin (Idaho City) and the Owyhee (Silver City) mining areas, both of which were booming. During the mid-1860s, Idaho City was the largest city in the Northwest, and as a staging area, Fort Boise grew rapidly; Boise was incorporated as a city in 1863. The first capital of the Idaho Territory was Lewiston in northern Idaho, which in 1863 was the largest community, exceeding the populations of Olympia and Seattle, Washington Territory and Portland, Oregon combined. The original territory was larger than Texas. 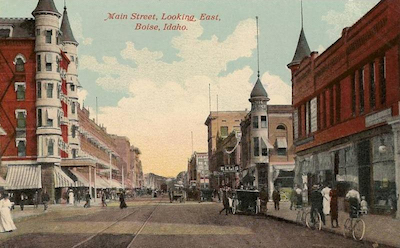 But following the creation of Montana Territory, Boise was made the territorial capital of a much reduced Idaho in a controversial decision which overturned a district court ruling by a one-vote majority in the territorial supreme court along geographic lines in 1866.